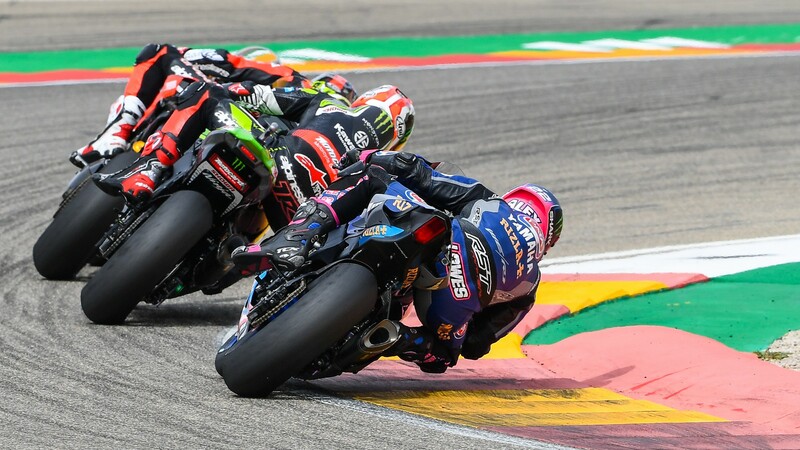 Moment of the weekend: Brits do battle in Race 1 at Aragon! 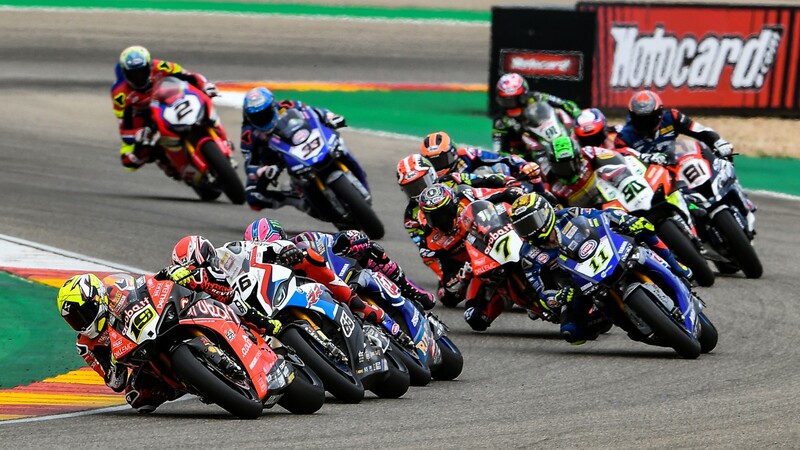 A thrilling encounter opened racing action at the MotorLand Aragon circuit, with British riders providing the action! 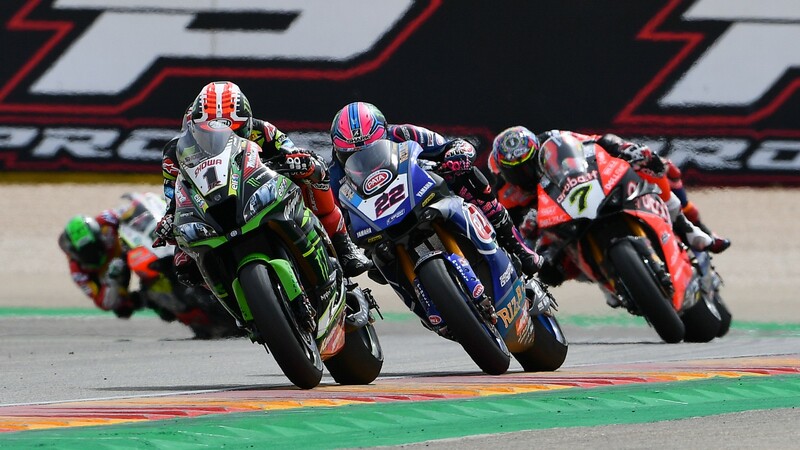 The key moment of the weekend at the MotorLand Aragon was during Race 1, with thrilling battles between Jonathan Rea (Kawasaki Racing Team WorldSBK), Chaz Davies (ARUBA.IT Racing – Ducati) and Alex Lowes (Pata Yamaha WorldSBK Team). All three British riders battled it out for the entirety of the race, putting on a phenomenal display in front of an expectant Spanish crowd! Relive those moments! 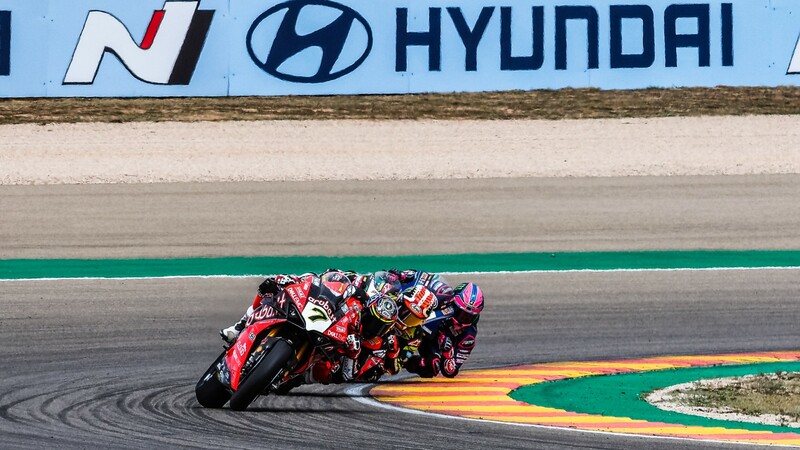 Incredible moves took place all around the MotorLand Aragon circuit, with Rea particularly strong into Turn 4, only for his rivals to battle back just as hard into Turn 5. Then, hard moves at Turns 12 and 13 saw the British riders swap places once more, trading paint and going head-to-head for the remaining spots on the podium! Despite Davies lining up a move for the final lap, he wasn’t able to make it through on Rea, whilst Lowes came home fourth! Tom Sykes (BMW Motorrad WorldSBK Team) completed the top five, with the British flag flying high in Spain! 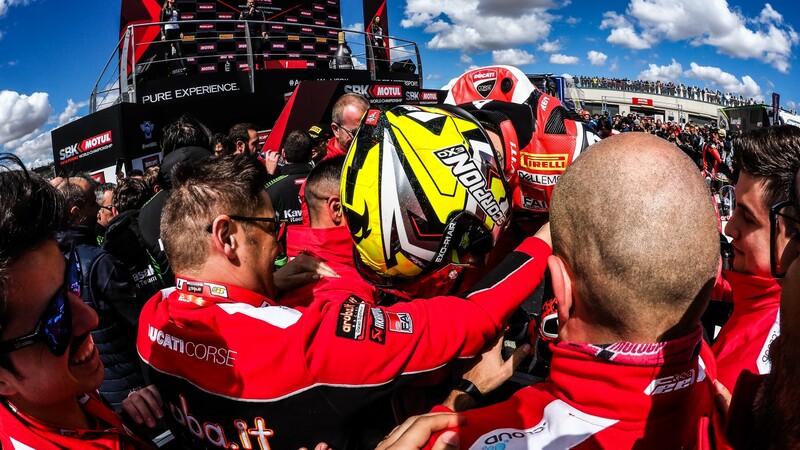 Watch the full race and the rest of the WorldSBK 2019 season with the WorldSBK VideoPass!